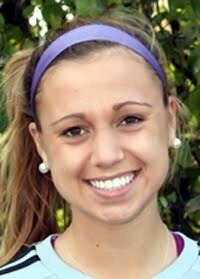 CHICAGO -- Eclipse Select Soccer Club defender Kara Morway announced her commitment to play for the Illinois State women's soccer team beginning in 2013. The Lake Villa, Ill., native and Lakes Community High School junior had narrowed down her search to Illinois State and Wisconsin-Milwaukee. Morway's older brother attends Illinois State, but it took another visit with former Eclipse Select player and current Illinois State freshman Gabbi McArtor to help solidify Morway's choice. "I visited there a couple months ago and liked it, but I was just not ready to make a decision," Morway said. "But I got to stay with Gabbi and I could tell right then and there that I wanted to go there. I loved it." Morway's older sister and Notre Dame sophomore defender Kecia Morway also provided some perspective about playing at the next level. Kecia, also an Eclipse Select product, had a dream start to her college campaign by winning the NCAA College Cup in her 2010 freshman season with the Irish. "Kecia helped me during the whole process," Morway said. "I'd talk to her about it and she would give me tips on what to look for, what would make me happy and suit me best."